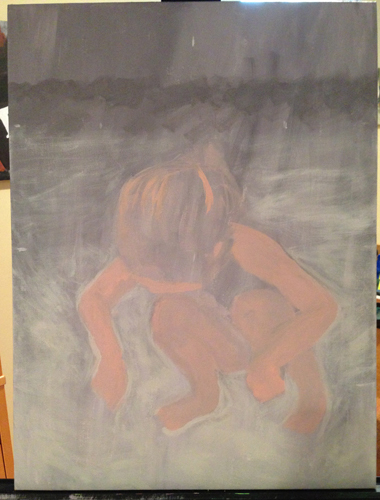 A few days later, I mixed a lighter sand color and added it to my canvas. 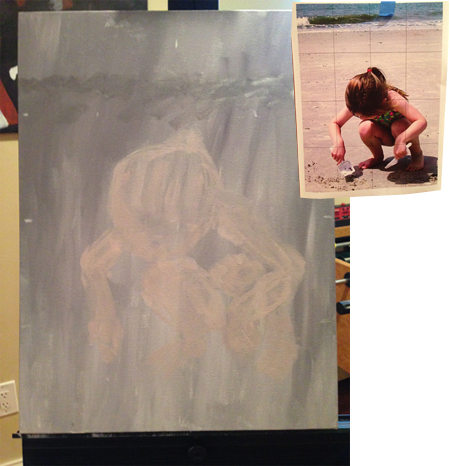 Still focusing on Little Girl’s shape, I used the sand color to edit her shape as needed. I’m getting there – slow and steady! lol. 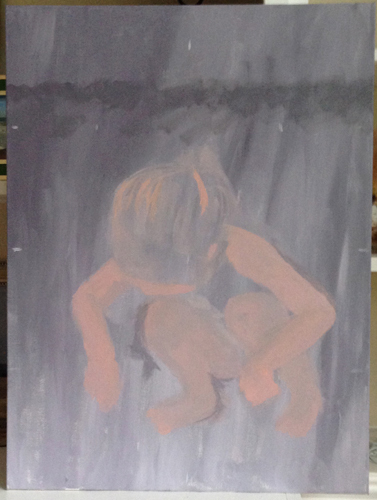 Read my previous post – Painting a Figure (Little Girl Digging – Part 1) and see how I started this painting. Categories: Acrylic | Tags: acrylic, beach, mixing paint, paint, painting, sand | Permalink.